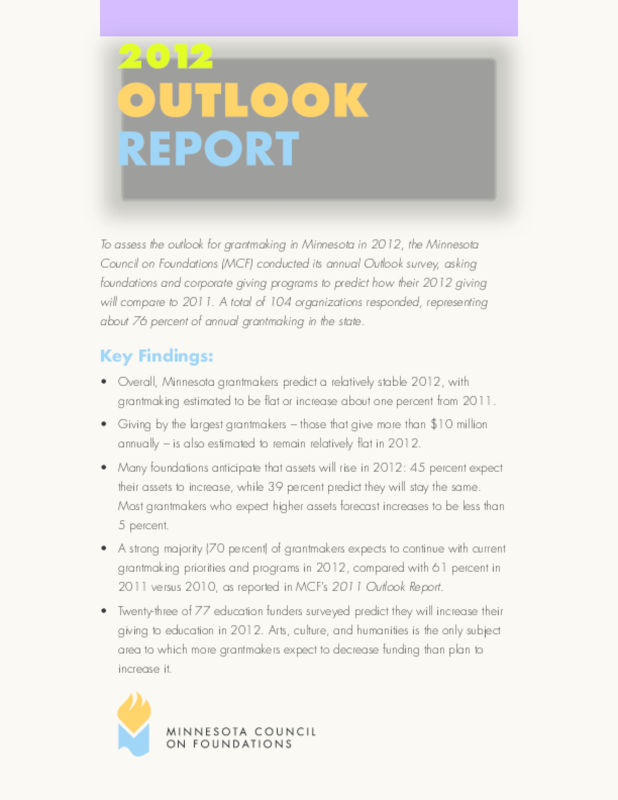 To assess the outlook for grantmaking in Minnesota in 2012, the Minnesota Council on Foundations (MCF) conducted its annual Outlook survey, asking foundations and corporate giving programs to predict how their 2012 giving will compare to 2011. A total of 104 organizations responded, representing about 76 percent of annual grantmaking in the state. Copyright 2012 Minnesota Council on Foundations. All rights reserved.